Here is a detailed video of using Microsoft Word and importing lyrics from any old random source. Please note: This is an Old Video, but I love the song so much I decided to leave this video up. Better to see 4. Importing Overview and 5. Using Chordie.com. Word is not the best editor because it has formatting included which will mess everything up. It can be used as a “Text Only” editor, but it is a pain. NotePad on Windows, or TextEdit on Mac is much better. 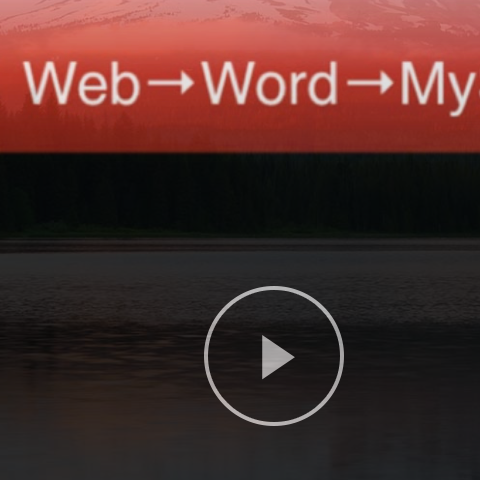 But, by popular demand here is how to use Word.